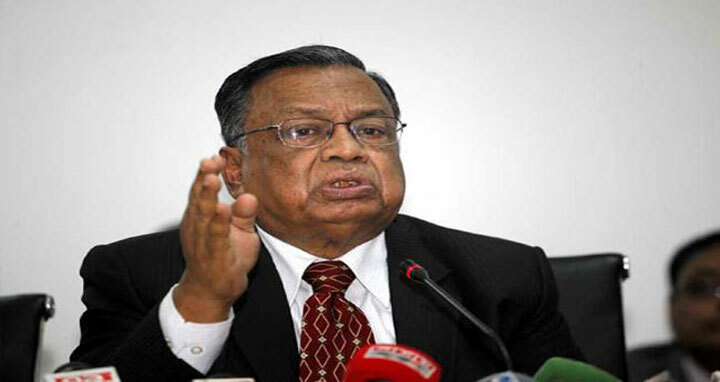 Dhaka, 10 July, Abnews: Amid growing pressure on Myanmar to create conditions for the safe return of Rohingyas, Foreign Minister AH Mahmood Ali will soon visit Myanmar to see in person the conditions in Rakhine State. Foreign Secretary M Shahidul Haque on Tuesday shared Minister Ali's plan to visit Myanmar to see whether any visible progress is there in Rakhine. While talking to reporters after a programme, the Foreign Secretary, however, did not give any specific date for the visit. Earlier, he attended a workshop on Maritime Counter-Terrorism held in a city hotel. Asked about a specific date, a Foreign Ministry official told UNB that such a visit is essential and not “unusual" as Bangladesh wants to see a progress in housing facilities, movement as well as livelihood of the Rohingyas after their return to their homes. Chinese Foreign Minister Wang Yi had a tea-break with the two visiting ministers from Bangladesh and Myanmar when they exchanged views on properly resolving the issue of the Rakhine State. A diplomatic source said the visit of Minister Ali to Myanmar soon is part of a multi-approach initiative to resolve the Rohingya crisis. China, as part of its three-phase steps, has already urged Myanmar to start the repatriation of Rohingyas as soon as possible saying it attaches great importance to the Rohingya crisis. "We've urged Myanmar both bilaterally and multilaterally on various occasions for the early repatriation of Rohingyas. We've also urged them to reach some visible outcomes as soon as possible," Chinese Ambassador in Dhaka Zhang Zuo said while responding to UNB questions on Sunday. After the crisis broke out in Rakhine year, he said, the first thing China did was to try and stop the local violence. "And now we’re trying to promote early repatriation of Rohingyas." The Chinese Ambassador said they want to see an active role from Bangladesh too in promoting a repatriation process. "I want to give a signal that we’re good neighbouring countries," the Ambassador said seeking a more comprehensive view of Bangladeshi media on the Rohingya issue ignoring misinterpretation, if any. UN Special Rapporteur on the human rights situation in Myanmar Yanghee Lee, during her recent Bangladesh visit, laid emphasis on "justice" for Rohingyas and holding perpetrators accountable seeking their safe and dignified return to Myanmar. “Enough is enough. Justice is the key demand of Rohingyas I spoke to,” she said. Asked about the possibility of referring Myanmar to the International Criminal Court (ICC) to investigate atrocities committed against Rohingyas, Lee said there are two permanent members of the UN Security Council (UNSC) who are friends of Myanmar. Without mentioning the names of the two countries, Lee said they might not make this happen. UN High Commissioner for Human Rights Zeid Ra’ad Al Hussein recently urged the UN Security Council to immediately refer Myanmar to the ICC so that all allegations of crimes against humanity and genocide perpetrated against the Rohingya as well as allegations of war crimes against other ethnic groups can be investigated.